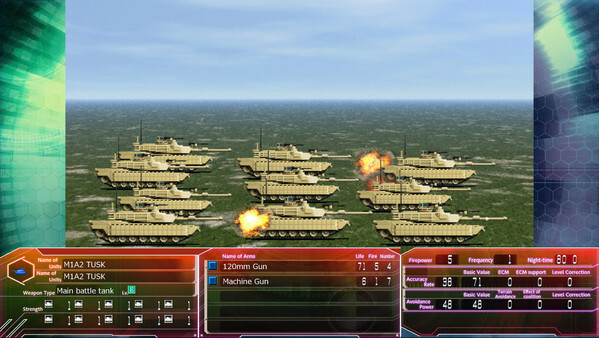 Daisenryaku is a full-scale, turn-based, single player strategic simulation game. Up to 8 factions compete against each other on large hex maps. The game features more than 300 maps, with more than 50 terrain types, from oceans to deserts, forests and cities. Make use of over 1500(!) 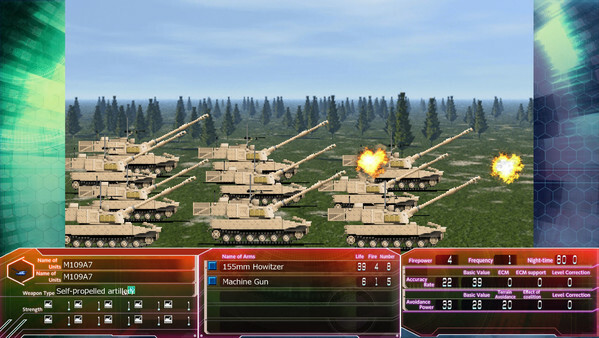 different units representing the latest military technology from all over the world. These include classics, such as tanks and fighter aircraft, but also more unorthodox options like electronic warfare airplanes and nuclear submarines. The amount of possible strategies is near limitless. 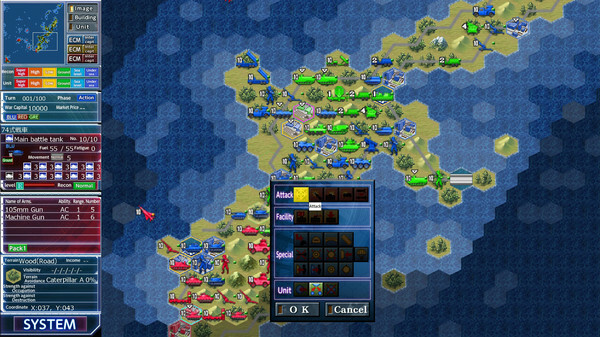 Bring in your units from the seas, attack from the sky, build roads and take the ground – the choice is all yours.